Buzz marketing – who is making the news? At a time of crisis there are a lot of conversations focused around and industry and there is a great opportunity for media coverage, both good and bad. 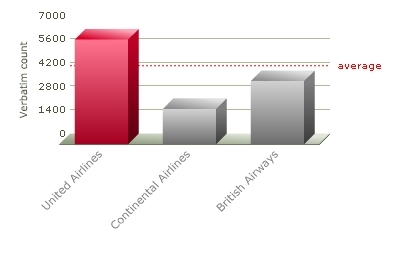 So I dipped in to do some quick research as to who was winning the battle of the buzz around airlines at this time. Not surprisingly United who have an active media presence came out on top. Now I have not delved deeper into the positive and negative all I am saying is that there is a oppertunity here and they seem to be making the most of it. http://www.synthesio.com/corporate/gb_index.php Do you know what is being said about you?